What do I Drink in Greece / Rhodes Island?? Greeks have quite a few types of drinks that can be found all over Greece or can be local to a specific area. From coffees to hard alcohol drinks, Greece is unique in many cases. The most famous is of course Ouzo which is also a registered trademark, but the Greek Coffee is also popular as well as the Frappe cold coffee for summer. The Greek wines, especially the ones we have in Rhodes are also well known, and Retsina which is again a unique wine type alcoholic drink. Alcoholic drinks are very cheap in Greece and especially in Rhodes (due to lower taxes the Island has), compared to the rest of europe, and the quality is usually quite good, but you should know that you get what you pay... dont be fooled by very very low prices in bars, the quality will also be low. Cafeterias are quite popular in Greece, especially during the summer, where the visitor may enjoy a cold drink cooling down the very hot days and nights... They serve all types of Italian coffees as well as the Greek ones, especially Frappe. But you can also find alcoholic drinks even at the cafeterias. Some like it, some don't. Its because of the original anise-flavored taste, its strength (about 40% ABV). 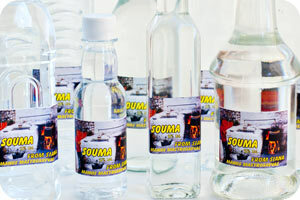 It originates from the 14th century, from Tsipouro which is another original Greek drink, only Ouzo was anise flavored. Ouzo is a protected designation of origin product, which means that the name Ouzo its prohibited to be used outside Greece and Cyprus. It is very strong, and many drink it with water, it is usually preferred with Ice. It is clear like water, but when mixed with water, it loses its transparency and becomes semi-transparent white. 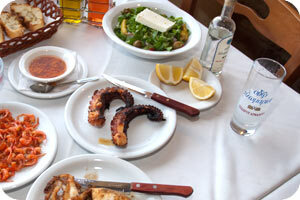 My favorite Ouzo kind is Plomari, but almost any kind will taste very similar anyway. Souma is a traditional drink and can be different from place to place, some make it out of figs, others out of grapes, in Rhodes you will find Souma made out of Grapes mainly. It is a strong drink with a taste of alcohol... very difficult to like unless you are a strong drinker!!! It turns white with water like Ouzo does. Souma is usually produced at villages using traditional methods, good souma you can find in Sianna village at Manos Mastrosavvas restaurant where he produces it from generation to generation using the traditional methods. Here you can see some photos of the production process. Rhodes Island has a very reputable wine making tradition, due to the climate which is highly favorable to viticulture. Rhodes winters are short with plenty of rain, on the other hand there is no rain during the growing season. During the summer's heat the cool winds help the soil temperature for good wine making. Two major wine producers consume most of the grape produce, KAIR and EMERY. They have been winning awards in world wine competitions for many years now, making the Rhodian wine popular. The most common varieties are "Athiri", "Mandilaria" and "Moschato White"
Most of Rhodes grape wine yards are found at the Embona area, where there are also many small private producers with excellent biological wine, especially red sweet. When visiting Embona you can find this local wine quite easily and with very low prices. From CAIR wines, most popular are: Archontiko, Moulin, Rodos 2400 and the Sparkling wine CAIR Demi Sec. 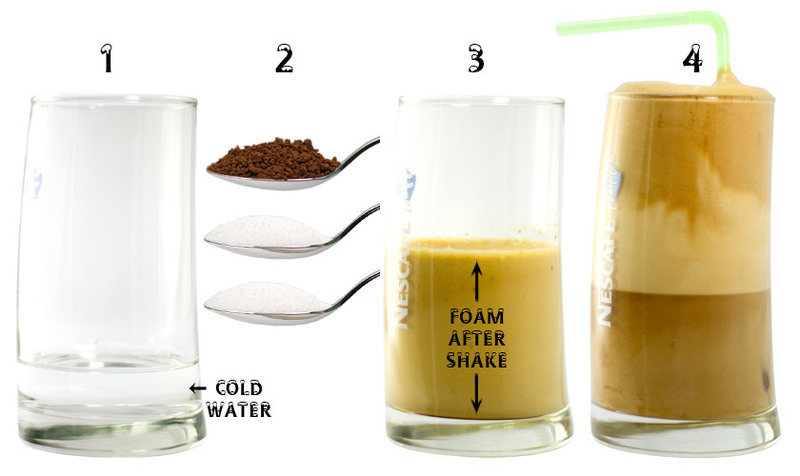 Almost every bar, restaurant, cafeteria, kiosk, boat, will serve you a cold frappe! !